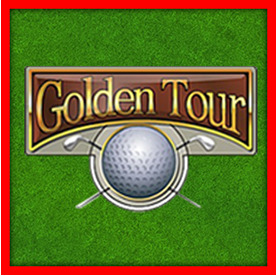 -Golden Tour is a 5-reel video slots game with 5 paylines. -The tables show a certain number for every hit amount for every symbol of Golden Tour. For example, if you have four symbols in a row starting on the leftmost or rightmost reel (that is four hits), read the number on the line “XXXX” and in the column under that symbol. Multiply your line bet by that number and you get the winning amount. If you have winning combinations on multiple lines, add them all up to get the winning amount. The symbols have to line consecutively, starting from the leftmost or rightmost reel, to qualify as hits. If you have five symbols in a row, you are only paid once. -There is a difference between the line bet and the total bet in slot game Golden Tour. The line bet shows how much you're betting on a single payline. The total bet shows how much you're spending in this game round. The payouts shown in the paytable are multiplied by the line bet, not by the total bet. If you get winning combinations on more than one payline, the winnings for each payline are added up. -The gopher, duck and catfish symbols in Golden Tour are scatter symbols – when you get 3 or more of these symbols (of the same kind) on the screen during one round, lying consecutively, you enter the bonus round. The symbols don’t have to follow any payline, meaning they can be on any position on the reel. -The two balls symbol in Golden Tour can stand in for both the orange and the blue ball, whichever makes for a better winning combination in Golden Tour. For example, if you get a combination of orange ball – orange ball – two balls – blue ball – blue ball, the two balls symbol acts in both combinations and you get two payouts: one for three orange balls, and one for three blue balls.